Why do we insist in treating our lives as “projects” with targets, outcomes and goals? Although they are quite useful, sometimes we lose perspective of the journey itself and get into not so positive feelings of “failure” without considering other different definitions of success. 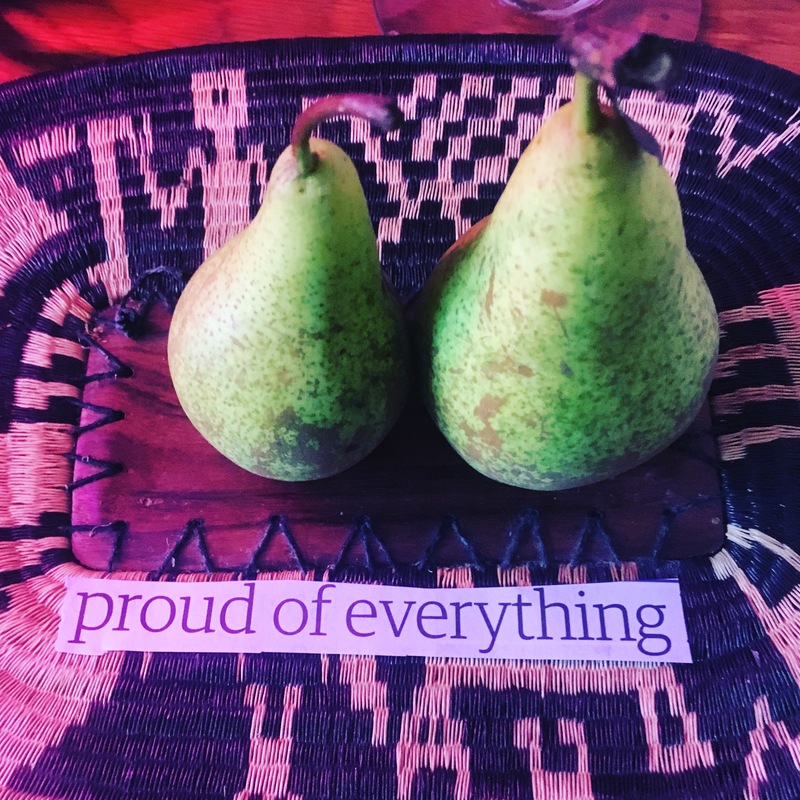 I am a great fan of planning, I love the possibility of mapping my projects for the year, or having a clear timeline of events and deadlines: that gives me a sense of control and actually help me to appreciate that sometimes I am trying to eat more of what I can chew. When you know what you have to do, you are able to set priorities while giving space to other issues apart from work or your projects, in fact, from a while ago I decided to include “Life” in my strategic planning. So I can book holidays, block “me time” and have those celebrated “date nights” (in my case date days) with my husband. I also can see how many of my friends get to achieve things with the serious tenacity of those who know what they want. I admire how this clarity of what “they want to get” allows them to jump hurdles, overcome obstacles and achieve that “dream”. I’ve seen friends even “finding love” as a project where there is a calculated agenda of Tinder, dates, pub visits, and any social opportunity to meet the “one”: indeed I had friend who dedicated almost two years of his life to find his ideal companion, and now he is settled in a “civil partnership”. On the other hand, the same approach is not very helpful when dealing with the complexity of normal life. yes, not always we can have the date night, because there are chores to do, and housework to complete… choosing your partner is one thing, learning to live with him is another. The difficult bit is to accept that any deviation of the “original plan” that can be unsettling but perhaps more interesting than our need for control. The thing with planning is that it makes you stick to an objective, and the formulation of such objective needs to be specific enough to achieve impact, while keeping some flexibility. I know that very well: many years ago my objective was to “do well” (i.e. career-wise, economically, physically all the external signifiers of success), but on the road I got burnt out and I had to redefine what was my objective. I changed it to a more general goal of living a healthy, balanced, creative, spiritual life, with room for art, caring and generosity. This does not mean that I lack of specific projects, for example the health aspects require engage in some sort of exercise and routines, and that needs dedication. Often I have to remind myself that it is not about “losing weight” as much as gaining health, and although my scale remains stubbornly up and down the same digits, I should not then forget that I have been cultivating good habits, that I am flexible and healthy, that I am fit and able to walk and swim without panting, and that even though my weight does not go down as quickly as I’d like, still I am worthy of self-love, self-appreciation and self-celebration! Our bodies are not projects to be managed, but temples to be cherished for all the possibilities that they have! That’s the spirit that I am trying to convey and invoke with this post. As I have been using some of the fantastic ideas of the BestSelf Journal, of setting priorities and formulating clear goals with indicators and plans. That’s all fine, and it has helped me to see that time is limited and that I can actually choose some priorities. It has allowed me to see how I use (or waste) my time, and indeed, to appreciate that much of the idle time is crucial for creativity. Instead of punishing myself for that time, I have been able to re-organise it, and appreciate it more. And I must admit I have advanced in such goals, and specially with the project of RawTag, I am able to see that not all of it depends on me, that if I really want to work is a co-production and keep the “artistic” aspect of it, I must include Failure is an Option. Let me explain: Failure should not be feared, but welcome into the table. Failure is the opportunity to learn, to re-think where are we going, to accept that sometimes changes are not as radical as we’d like and that a change of path or even a complete reverse of tact is required. 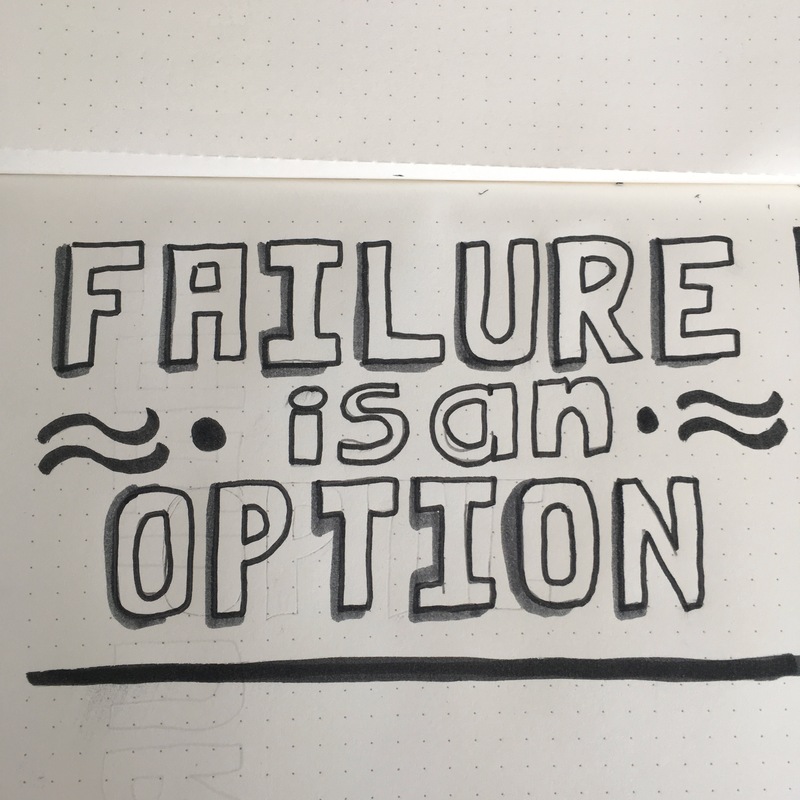 Failure is an option can mean also that you decide to ‘fail’, and that’s all right, but also, it is important to re-define what exactly is failure or success. We talk about education for sustainability and talk about resilience and creativity, but still we insist in giving marks and having strictly designed modules. We celebrate “success” and forget about journeys, we cherish our “good students” but ignore the journeys that they are having during their time at uni. The same applies to ourselves: I don’t want to feel bad because my project is not going according to plan… in fact, now that I am going through the implementation of RawTag in a bigger scale I realise that there are many things I did not anticipate, and I am having to change tact during the journey, accepting that I do not know it all. Our project may not change everybody’s perception of fast fashion, but some will be impacted, and that’s enough! At the same time, I am doing the best I can do without killing myself, and that’s already a great change from my previous big project GoGreen! Is success a number? Is success a “position”? Yes they are quite the indicators, but also, what about Joy, and learning, and being grateful. My success with the broken dress was to take responsibility, to go and repair it and in the process to make it mine, unforgettable! Why to insist in external validation, that only feeds an ever insecure “ego” instead of trusting the power of the self? Why not to focus on “being” than “getting” and enjoying the moment, and celebrate all the wonderful things I am sure all of us have. Failure is an option and that’s fine, now crack on and do your very best!